Cupcakes and Sunshine: College Moving Tips and a little help from Tiny Prints! College Moving Tips and a little help from Tiny Prints! BIG news! I'm moving! I absolutely love, love change. And I feel one of the main reasons I have loved college so much is because each and everyday is different. 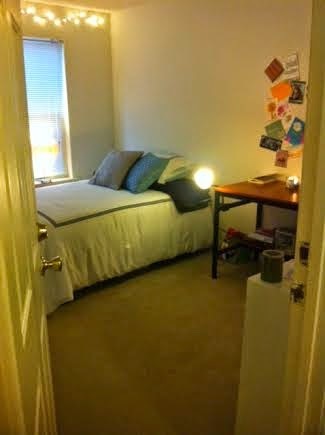 I kicked off freshman year living in Creswell dorm at the University of Georgia. Although I really don't have to relive dorm life again (umm, no thank you to sharing a bathroom with 70+ girls) it was a great first-year experience. 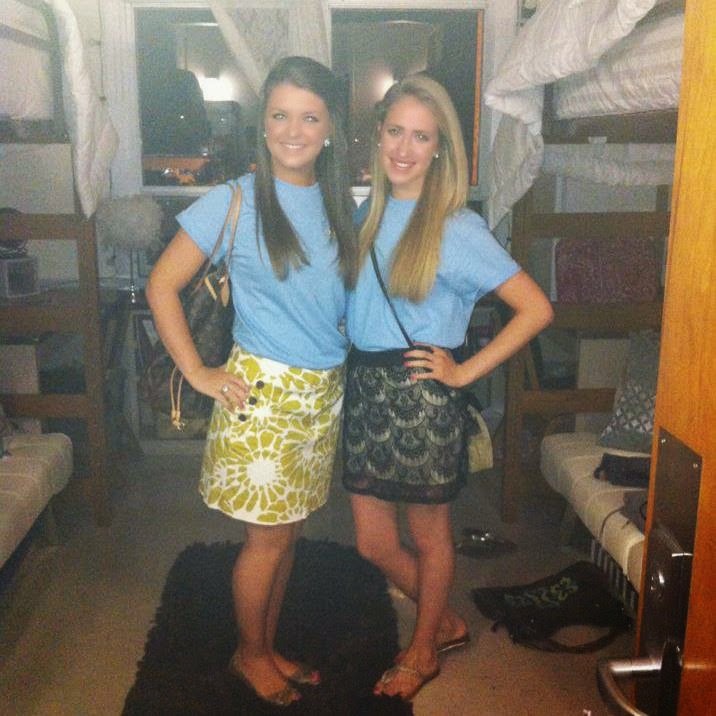 My roommate and I freshman year in our dorm. This past year, I moved into my first apartment. 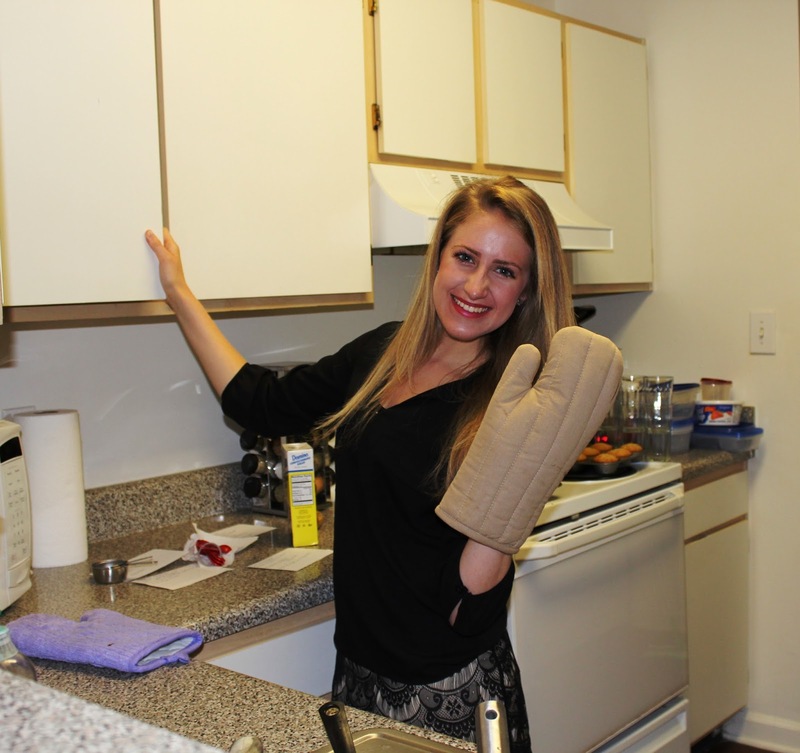 I was most excited about having a kitchen and the ability to bake whatever I wanted whenever I wanted. Such freedom!!! And having my own bathroom was a plus as well. A big plus. name of 6 of my best friends all smashed together. Jenny, Carly, Sydney, Mary Cate, Kelsie, and Joni. And they have added the "Ha" at the beginning of the name since I am moving in! HAjelarsymarny. (Pronounced HEY-Jell-Ars-Eee-Marny. it takes a little practice to say.) There will be 7 of us girls living together. To say I am excited would be an understatement. These girls are so encouraging, fun, and can brighten your day in a heartbeat! It is such a blessing to be able to wake up each day in such a cozy, loving home. formerly Jelarsymarny, now HaJelarsymarny Living Room. I can not wait to officially move in! I've moved a couple of times since college began, and I have a few tips to keep the big move-in day fun and easy. 1. Organize, organize, organize! I have already started going through papers I don't need, clothes I don't wear, and getting rid of the clutter. Donating clothes and extra kitchen goodies that I thought I needed at the time but ended up not wearing or using feels so good. Plus your unwanted items can help someone in need. This makes move-in day a breeze. 2. Make delicious snacks the day before for move-in fun and fuel. 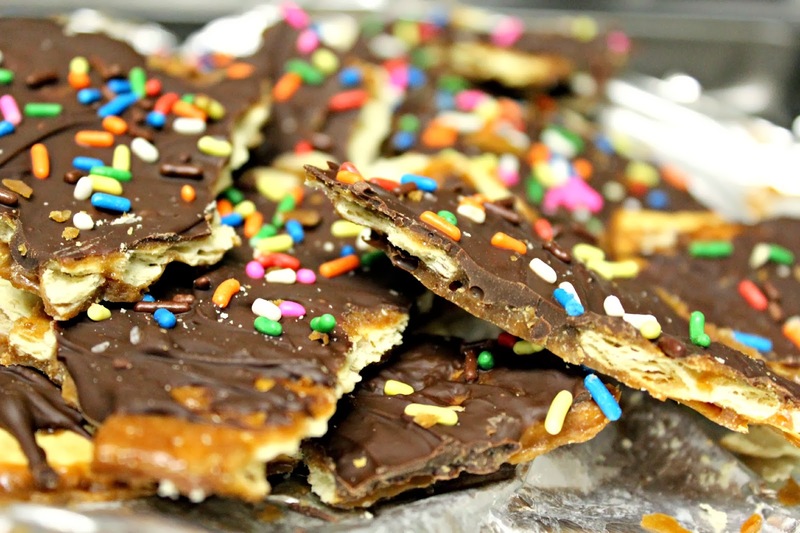 Have you tried my Salted Chocolate Saltine Toffee Bark? This is one heck of a delicious treat. Plus it has sprinkles. And anyday with sprinkles is a happy day. It's easy, chocolatey, and portable. It makes for the perfect move-in snack. 3. And finally, WRITE THANK YOU NOTES! I am so thankful for the friends and family who have helped me move over the past couple of years. My Aunt Susu and Uncle Rog are always there for me on move-in days, and the girls at Jelarsymarny have already volunteered to help me move into their cozy house this year. I love showing others how much they have helped me with a sweet card. I could not say no to showcasing these ADORABLE thank you notes and matching address labels I got courtesy of Tiny Prints. As you know, I'm a HUGE HUGE fan of snail mail and adorable stationary. And Tiny Prints is now my go-to for all of my stationary needs. 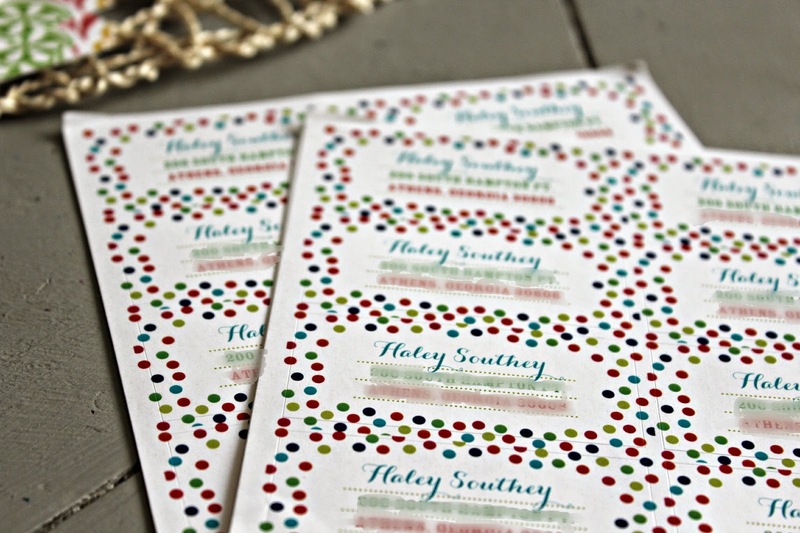 They have a wide array of personalized cards, stationary, invitations, announcements, and gifts. I had such a hard time picking out my favorites. They even have graduation cards and invites since it is getting close to graduation time! Of course, I HAD to get new address labels for my new address. Can't wait to send these out and show off these labels! Question of the day: What are some of your favorite moving tips? 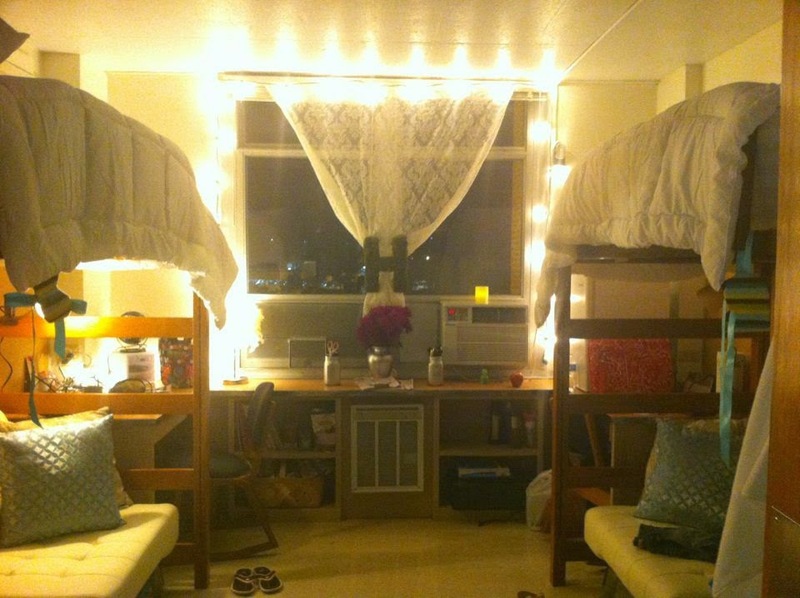 What were your college moving experiences like? I lived in a dorm my first year and then an apartment every year after that. 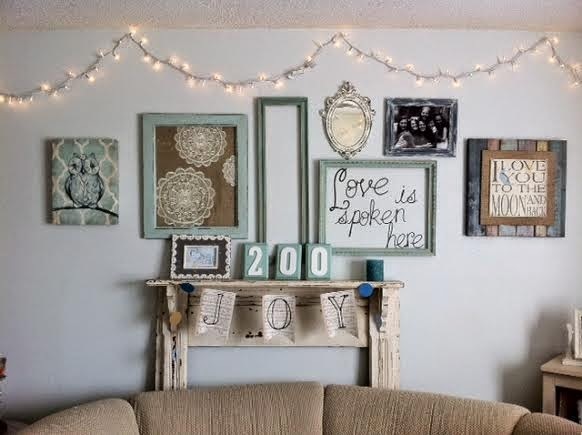 I definitely think of everyone should live in a dorm at least once especially there first year because its a great way to get to know people, but I really loved my apartment. I dont think I could have made it four years without a kitchen as well as my own bedroom and bathroom. Hope you have fun living with your friends! & cute thank you cards! !